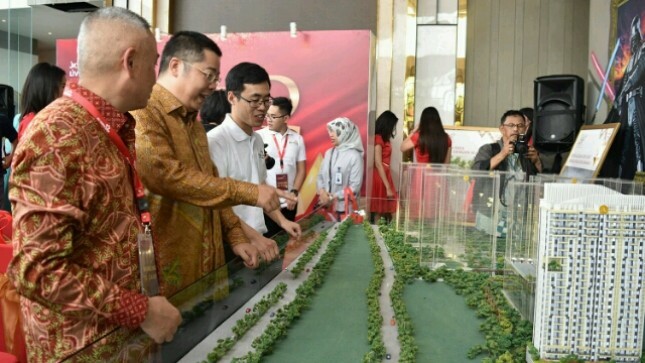 INDUSTRY.co.id - Jakarta, After having a success by presenting JKT Living Star Superblock, PT Sindeli Propertindo Abadi is aiming for investment in the north and west of Jakarta. This was conveyed by CEO of PT Sindeli Propertindo Abadi Wu Wei to media crew after JKT Living Star groundbreaking event in Jakarta, Friday (16/3/2018). "We see the property market in Indonesia is still quite good, from the company there are plans to develop in the future," said Wei. He sees the north and west of Jakarta still has considerable investment potential. Although not yet disclose in detail related to investment in the region. But Wei believes the area has considerable potential. "The potential is big enough, after our signature will tell you," he explained. To be sure, continued Wei, the next project will still bring quality dwelling that targeting middle class. "The need for occupancy for the middle class is still quite a lot, therefore we are concentrated by presenting quality apartments," said Wei.